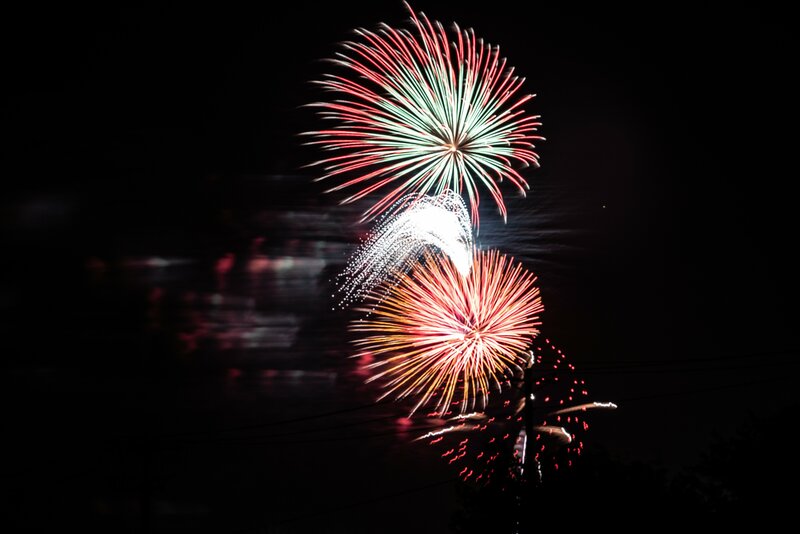 Fireworks with the Sony A7 rIII…What a Fun Adventure! I love watching fireworks! Even more than that, I love trying to capture photos of the fireworks. It’s a lot harder than it looks, but each year, I learn something new, and seem to get a bit better at it. This year was quite different. I had mastered it with my Canon 5D Mark IV, but this year, for the first time, I was going to try to use my new Sony A7 rIII. Oh my… A mirrorless camera that I have not quite gotten the hang of yet. Not the best viewing spot, but to get an unobstructed view, we would’ve needed to camp out for a long time! 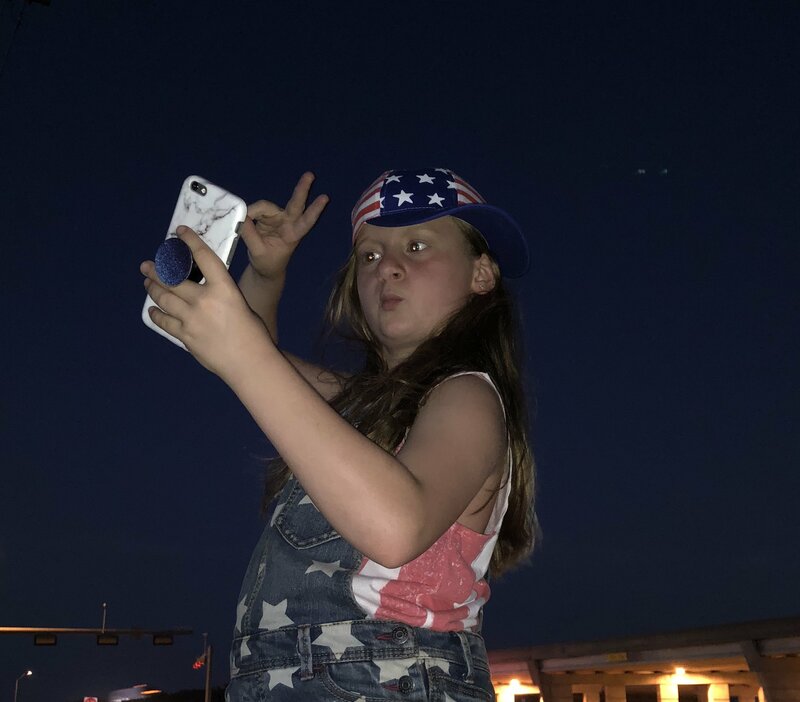 My daughter and I arrived at the fireworks location about 30 minutes before showtime. We were running late because of a baseball tournament my son was playing in. I didn’t want to miss that, so we went over to the fireworks show as soon as we could. I set up my camera on the tripod quickly, and began navigating the menu. I figured out the settings I thought would work, and was ready to take on this challenge. Then I realized I had forgotten my remote, so I would have to stand at the tripod all night and run the camera. Me and my little fireworks buddy waiting for the show to start! So the fact that I was able to get any decent shots was surprising! I was pretty pleased with many of the results. Still a lot to learn, so if I start studying now, maybe I’ll be ready by July 4, 2019! I guess I need to learn Photoshop so I can crop out all the light posts and cars driving by! Taking silly selfies helped pass the time until the show began. 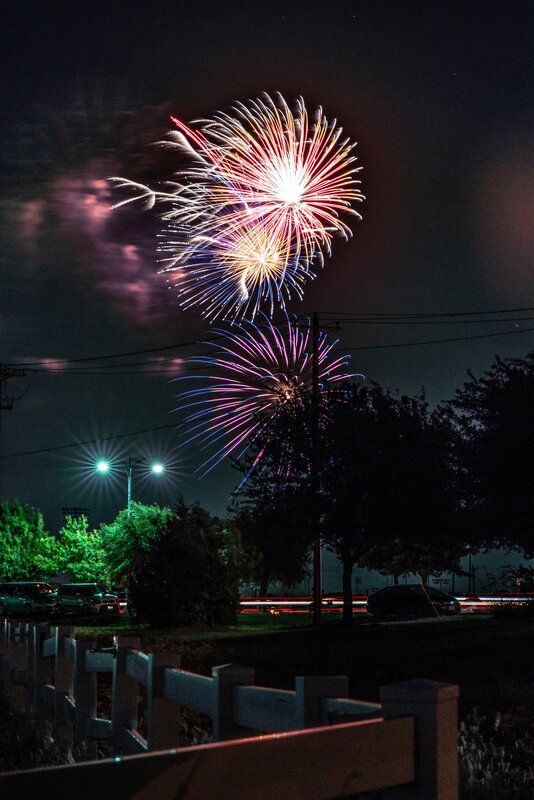 Next year, I think I want to photograph fireworks over a lake! Reflections!